This is the podcast of the radio program Manojigyasa which was originally broadcasted from Ujjyalo 90 Network. Manojigyasa is a program based on Psychology and Mental Health. This was originally broadcasted on September 17, 2016. In this expert episode, we had senior psychiatrist Dr. Kapil Upadhyay talking about his work and experience in Mental Health and its various aspects. World Occupational Therapy day is celebrated on the 27th October every year. In honour of World Occupational Therapy 2016 we provide a summary about Occupational Therapy (OT). This will be a refresher for those we had the pleasure of meeting last year and an introduction to all those who are unfamiliar with Occupational Therapy. Occupational therapy (OT) is a person centred health profession which aims to promote health and wellbeing through occupation. OT takes a whole person approach to mental and physical health and wellbeing. The primary goals of OT are to enable a person to participate in activities of everyday life and to enable people to achieve their full potential. Occupational Therapists (OT’s) are valued health care professionals in many countries, but OT is not yet a familiar profession within Nepal. Occupation refers to the everyday activities that a person does as an individual, with their family or as part of a community in order to occupy their time. It includes what people need to, want to or are expected to do and brings meaning and purpose to their lives. Everyday activities allow a person to live independently and have a sense of identity and include tasks such as self-care, leisure and work. Lack of access or restricted access to everyday activities may negatively impact on an individual’s health and quality of life. The use of everyday activities to improve health and quality of life is at the heart of occupational therapy. At a basic level OT’s use and prescribe activities as a “medicine” and a form of treatment to promote recovery and/or prevention. OT’s will consider the person, their environment and their occupations. An OT considers the roles, routines and habits of a person and will determine how to recover, develop and maintain the skills a person needs in order to do what they want or need to do as independently as possible. OT provides practical support to facilitate recovery and overcome barriers. Although an OT will consider a diagnosis, symptoms and behaviours, these are not the most important factors. A person’s ability to participate in an activity is more important. An OT will look at how a person is able to function and participate in an activity and will adapt an activity or the environment accordingly. It is important that the person is not set up to fail. “…in which the individual realizes his or her own abilities, can cope with the normal stresses of life, can work productively and fruitfully and is able to make a contribution to his or her community.” World Health Organisation (1999). These definitions highlight the interaction of mind, body, spirit and social context and as such OT’s are well placed to act as health agents. OT’s take a whole person approach to mental and physical health and wellbeing. Since the first volunteer OT visitors in 2015 we have focused on staff training in the concepts of OT in mental health, introducing therapeutic groups, enhancing occupational opportunities within the hospital and in the community, developing in-house activity resources and supporting patients in achieving meaningful roles and routines that are goal focused and person-centred. Our most recent volunteer Occupational Therapist, amongst other initiatives, has introduced a walking group to Amrita. Patients spend the majority of their time confined to the building and garden compound within Amrita. The walking group is a valuable and supportive opportunity to gradually transition patients back into the community. We have displayed the protocol below for this group to demonstrate an OT’s approach to mental health and wellbeing and therapy. We have highlighted key concepts. Exercise can contribute to improvements in mood, alertness, concentration, sleep patterns and psychotic symptoms. Walking has been shown to decrease anxiety and depression and improve psychological wellbeing as well as physical fitness. It helps not only to improve social skills but also assists with integration into the community. It has a key role to play as a preventative and therapeutic intervention. It is one of the easiest and most inexpensive forms of physical exercise. It can be done almost anywhere and by almost anyone; it can easily be incorporated into a daily routine. Initially, walk to and around the Stupa (as many times as the patients agree on) and then back. Allow patients to adjust to being outside of Amrita. The Stupa allows for patients to walk along and also to cross a busy road and then provides a more peaceful environment on arrival. It also allows for patients who are religious to pray. 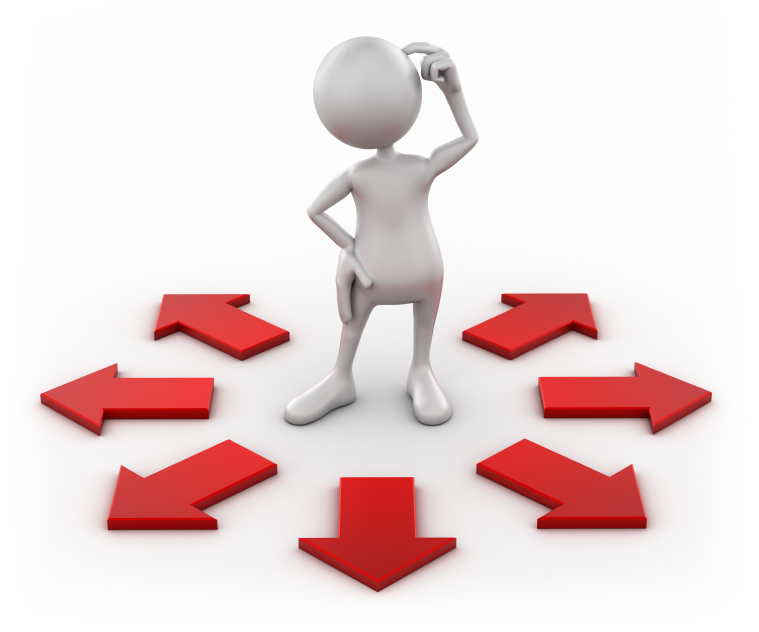 As the group progresses, provide choice to patients where possible on where they would like to go. Gradually build up confidence in being outside and work towards using transport to go to places further afield. 2: spread the word about the power of activity as a therapeutic tool in the recovery process and prevention of mental health both for your own mental health and well being and, for those of you who work or study in the field of mental health, that of your patients. Alexandratos K, Barnett F, Thomas Y (2012) The impact of exercise on the mental health and quality of life of people with severe mental illness: a critical review. British Journal of Occupational Therapy, 75(2), 48-60. Richardson CR, Faulkner G, McDevitt J, Skrinar GS, Hutchinson DS, Piette JD (2005) Integrating physical activity into mental health services for persons with serious mental illness. Psychiatric Services, 56(3), 324-31. Wilbur J, Zenk S, Wang E, Oh A, McDevitt J, Block D, McNeil S, Ju S (2009) Neighbourhood characteristics, adherence to walking, and depressive symptoms in midlife African American women. Journal of Women’s Health, 18(8), 1201-10. This is the episode published on July 30 2016. We have special episode where we celebrated Psychbigyaan Network Nepal’s first anniversary through radio program talking about the organization and various other aspects related to us. म आफुलाई सुल्झेको मान्छे ठान्छु, कहिले काहिँ अत्तालिने बाहेक | सोच्छु ओह्हो ममा त ‘Clear Cut Vision’ पनि छ | एकदमै मन लागेर सुरु गरेको मनोविज्ञान पढाउने जागिर छ, राम्रै पढाई छ आफ्नै, मन परेको विषय मनोविज्ञान मा काम पनि गरिराखेकी छु, सपना देखेको संस्था ‘Psychbigyaan’ पनि खोलेको १ वर्ष हुन लाग्यो, संस्थाले पनि राम्रै काम गरिराखेकोछ, uncertainty चाहिं किन हो कुन्नि !! कुरा गर्दै थियौं , ठ्याकै ‘Personal Mission Statement ‘ के हो भन्ने कुरा आयो, मैले भन्न सकिनँ ; र अहिले यो लेखी रहँदा पनि भन्न सकिराको छैन | म clear cut vision छ भनेर सोच्ने लाइ जिन्दगीको mission statement नै पो थाहा रैनछ , भयो त अब? यो त, लेख्न मन छ, के लेख्ने थाहा छैन जस्तो कुरा भएन र ? पहिलो : यदि कहिले uncertain भयौं भने, सबै भन्दा पहिला गर्नु पर्ने तेस्लाई ‘मनन’ | जब सम्म हामीलाई ‘केहि थाहा छैन है‘ भनेर थाहा हुँदैन , परिबर्तन पक्कै आउँदैन | कति रमाइलो होला थाहा नभाको सिक्ने उत्साहा राख्नु, नभए त सब थाहा छ, जिन्दगीमा uncertain केहि छैन भन्ने मा त के नै चाख होला र ? अर्को: जिन्दगि लाइ जटिल त बनाइँराखेका त छैनौं हामीले? आफ्नो मातहतमा नभएको, आफुले control गर्न नसकिने कुरा सोचेर uncertain त भएको छैनौ? सोचौ है ? धेरै पल्ट रोक्न नसकिने समय र छुटाउन नसकिने परिबन्ध ले हामीलाई निराशाको खाडलमा लागिराखेको हुन्छ | सोच्नुस त, तपाइको हातमा नभएको कुराले कहिँ कतै जिन्दगीमा uncertainty त ल्याईराखेको छैन ? त्यसैले साथी यदि जिन्दगी | ‘certain’ छ भनेर कहिले सोच्नु भएको भने, त्यो भ्रम हो भनेर बुझ्दा सायद गल्ति नहोला | बर्खाको बेलामा पनि भोली पानी पर्ला कि नपर्ला भन्न नसक्ने हामी, पछी के होला भनेर जिन्दगीको uncertainty संग डराउनु कत्ति को उचित होला, विचार गर्नुहोस त ? 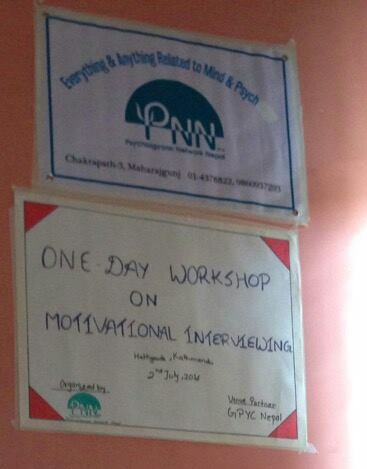 Psychbigyaan Network Nepal (PNN) conducted one day workshop on the theme of “Motivational Interviewing” on 2nd of July 2016 with venue support from Global Peace Youth Corp (GPYC) Nepal. 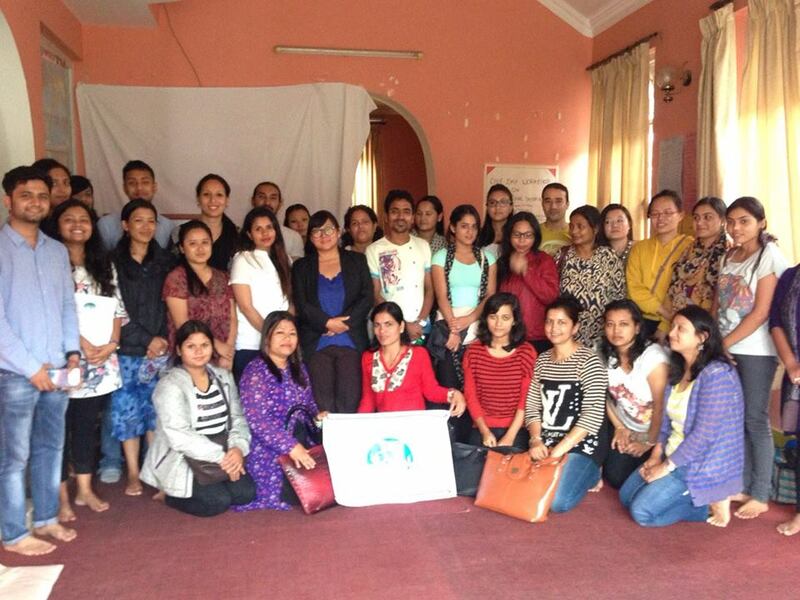 The workshop was facilitated by Ms. Priti Pun, Masters in Mental Health Sciences with Cognitive Behavioral Therapy (CBT) specialization from Flinders University Australia. Motivational Interviewing (MI) was developed by William R. Miller and Stephen Rollnick and is described as a style of patient centred collaborative counselling which facilitates the change in health related behaviours. MI is a directive approach, not in a confrontational or ‘pushy’ way, but in a quiet eliciting style which allows the person to move towards change rather than it being externally imposed. Originally developed for use with people who had problems with alcohol and drugs, it has now been applied to a wide range of problem areas such as public health, mental health, medical school and even corporate systems as it is helpful in settings where there is resistance to change. The principles are simple yet less easy to apply in practice; the workshop will highlight the importance of MI and its application. The workshop was targeted towards counselors, therapists, social workers or allied health professionals, and anyone who are involved in change or motivational talk with their client or patients. 29 enthusiastic participants from different field like nursing, teaching, psycho social support, rehabilitation of trafficked women and students of psychology participated the workshop. 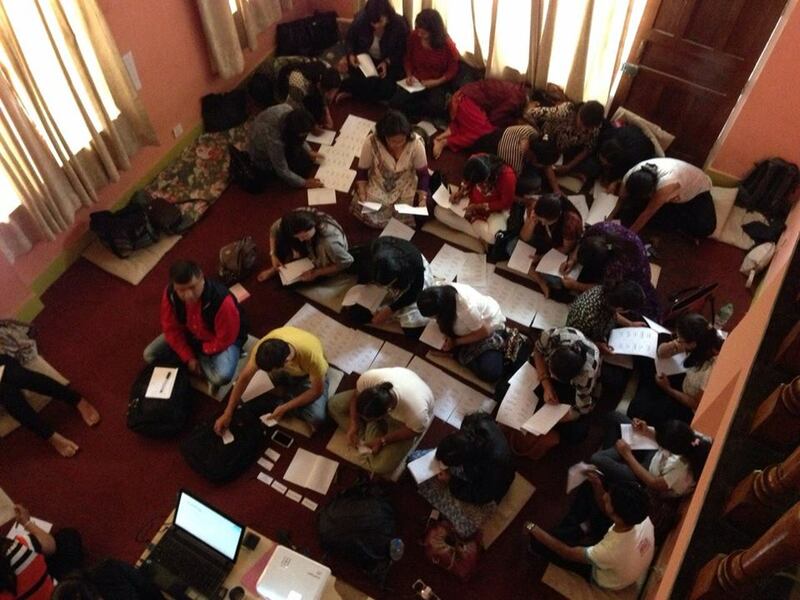 The workshop was started at 11:00 sharp after registration which was started from 10:00 in the morning. 6 hour-long workshop included 45 mins lunch break and 5 min tea-break in between. The workshop was conducted on the module of theoretical and practical activities conducted by Facilitator and helped by PNN members. The program ended with the Thank you Note from PNN to all the participants and facilitator Ms. Pun. Overall, the workshop on “Motivational Interviewing” was successful as clear by the positive feedback of the participants. However, one of the common feedback was that the workshop should be extended and make it a 2 or 3 days workshop as the contents were really useful and it would help to go through them in even more detail with even more role-plays and practices. 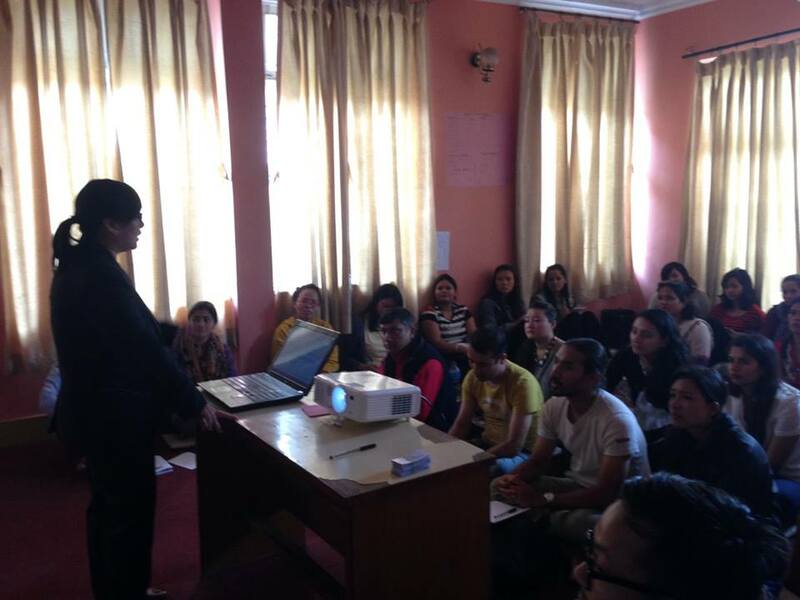 Psychbigyaan Network Nepal (PNN) would like to thank Ms. Priti Pun for facilitating the workshop, GPYC Nepal for the venue and all the participants for making the workshop a success. PNN is encouraged and committed to conduct even more fruitful and large-scale workshops in the near future. For more photos of activities of the event. Click Here: Photos of One day MI workshop.